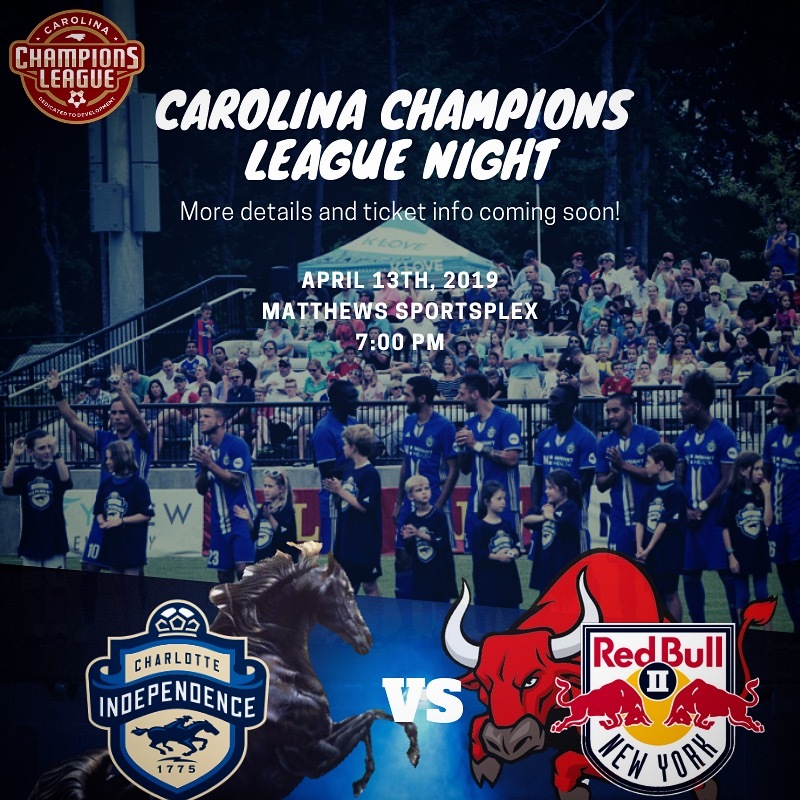 Come play your match at Matthews Sports Plex, and then wear your gear to the Independence game! This will be the official night of the CCL. We will have our own section at the game. One ticket to the game will cost 14 dollars. Each club will pick 1 member of their organization to take a PK at halftime. Coaches we will also have something in store for you! Clink the link below to purchase your tickets.